S.T.E.L.A. is a fixed 3D structure with a dynamic projection image. Mimicking randomness found in nature, the structure is made up of aluminium profile segments, cut at random lengths and joint together at corners. There is no ‘one fixed’ S.T.E.L.A. structure. 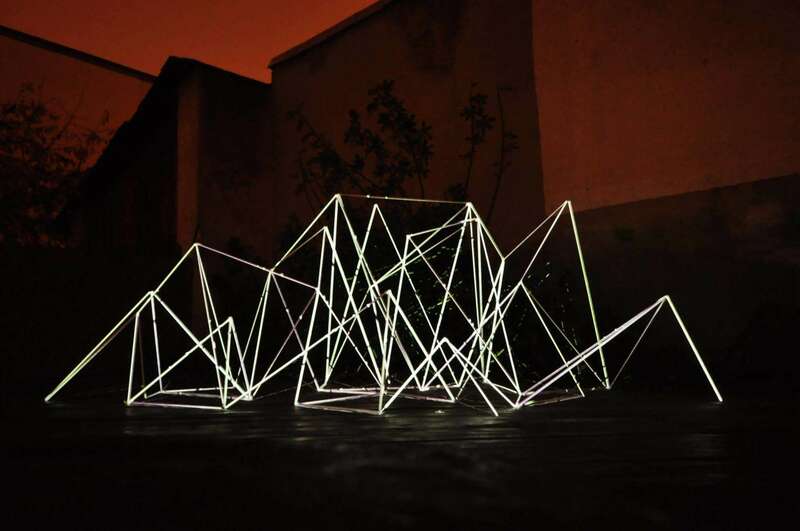 The installation process and thus the resulting structure are site specific. 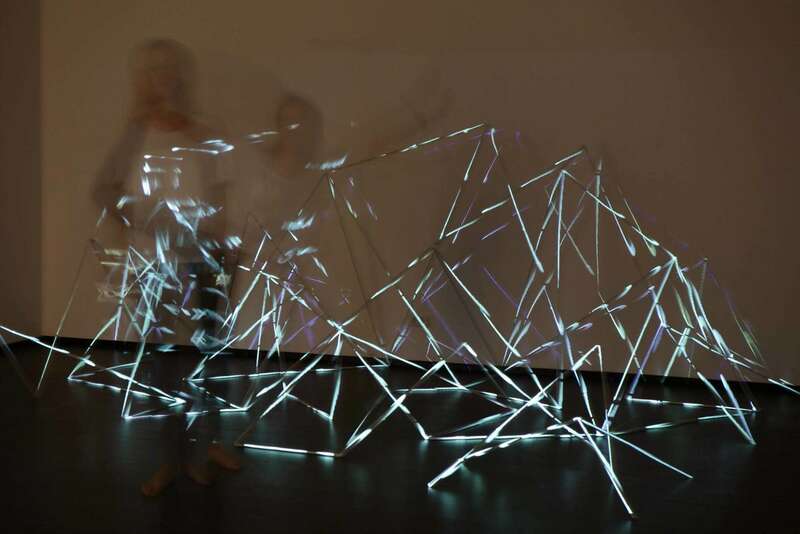 The bars can be connected in a multitude of ways and directions, the only limitations being the size of room and the projector’s angle – after all, we’re mapping a 2D video projection on a 3D canvas. 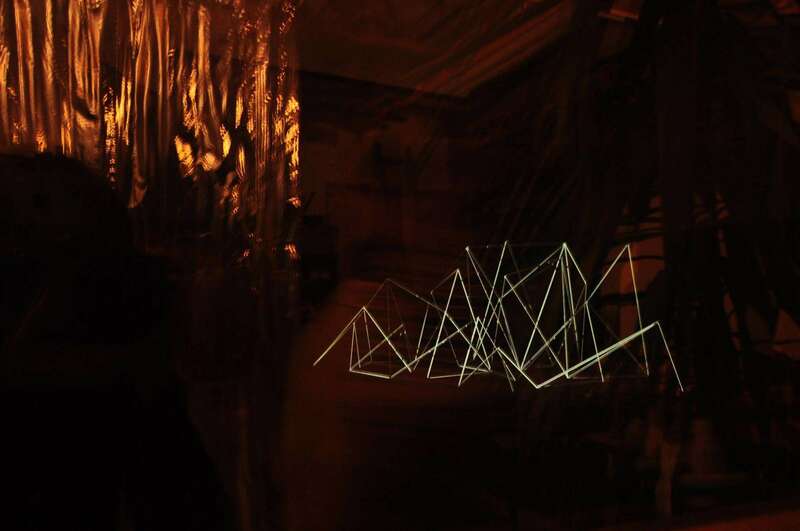 Projecting dynamic imagery onto it, the resulting 3D volumes enclosed by the materiality of the aluminium and the fading light, contrast with the pitch darkness surrounding the structure. Order and contrast, algorithmically designed. The viewer can actively take part in the video projection modelling, through the use of a Leap Motion (a computer hardware sensor device that supports hand and finder motions an input). 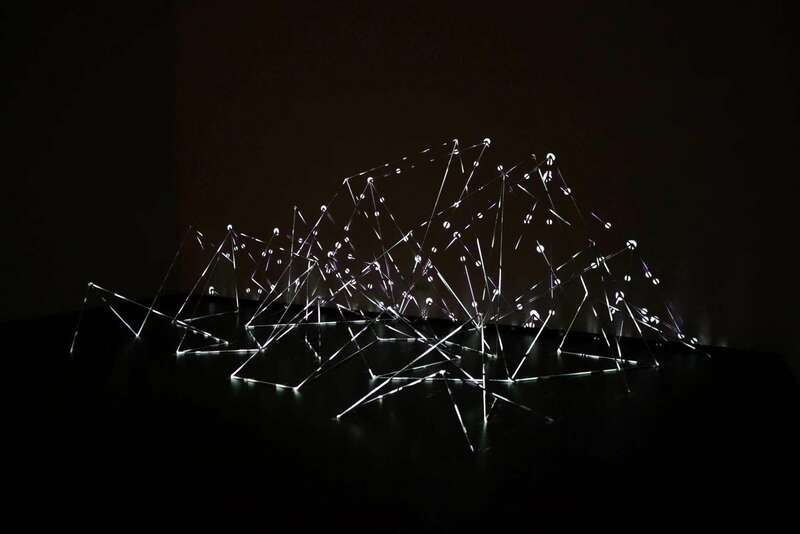 The set of video projections took inspiration from the natural phenomena, symbolising various stages of the 4 seasons. Improved by an audio performance, the viewer witnesses the wind chimes of the winter carollers, the rainy days of autumn, the lightning storms of spring, the sunny beach days of summer. 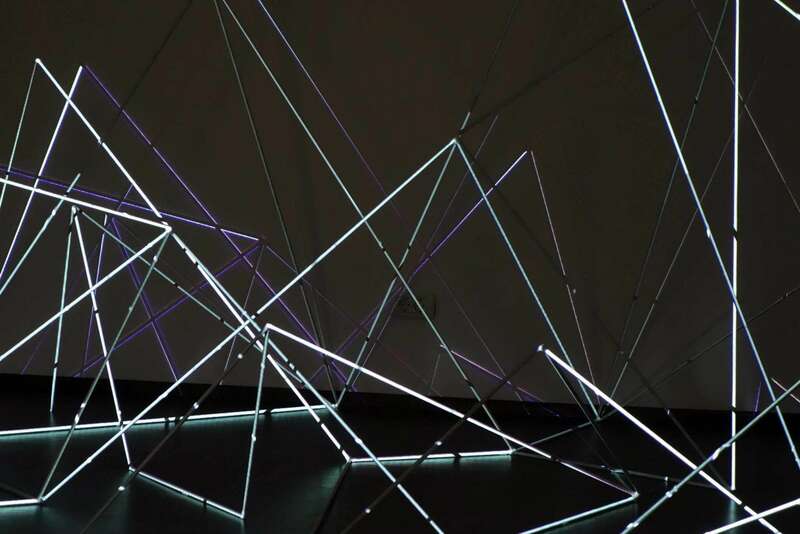 The installation was developed during Techno-Poesis workshop initiated by Modulab, in which the participants (artists and designers) explored the the poetic function of technology through an aesthetic, self-reflexive approach. 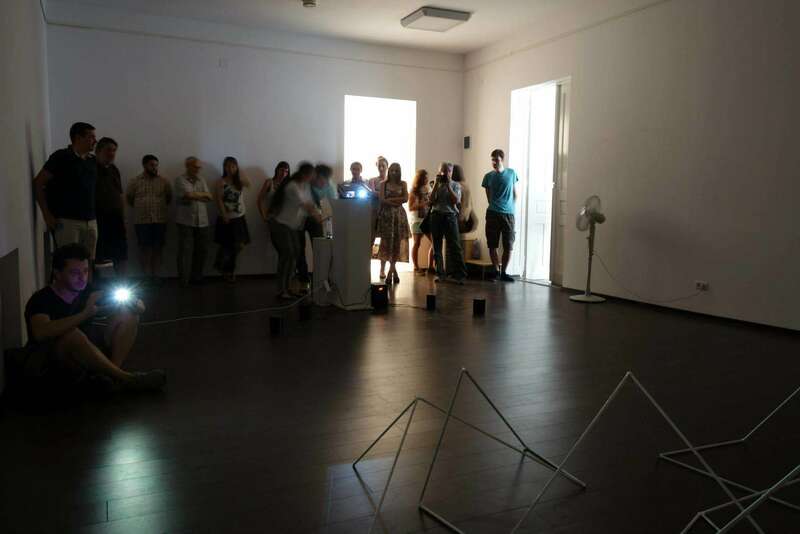 The resulting exhibition was on display during november and december 2014 at Modulab. 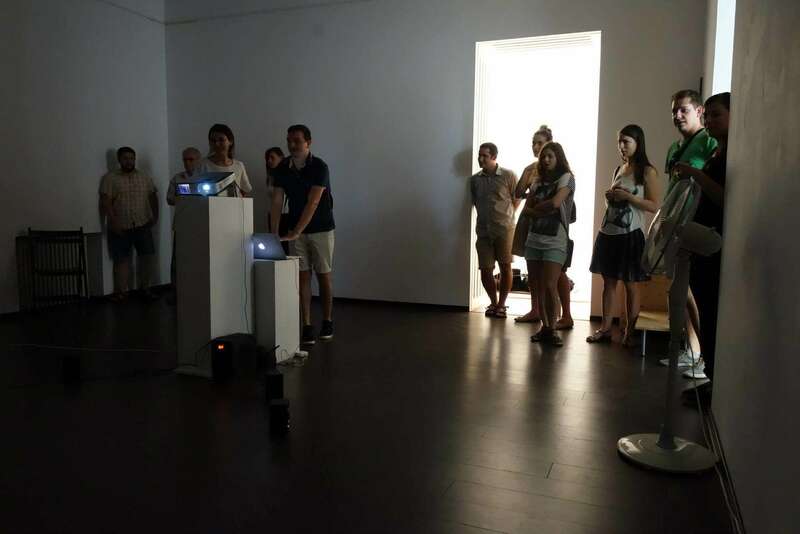 The 9th episode of the Kinema Ikon Serial showcased STELA in Arad, in june 2015.